The art of comedy is much like breaking down a mathematical equation for Yonge-Eglinton resident Ian McIntyre. 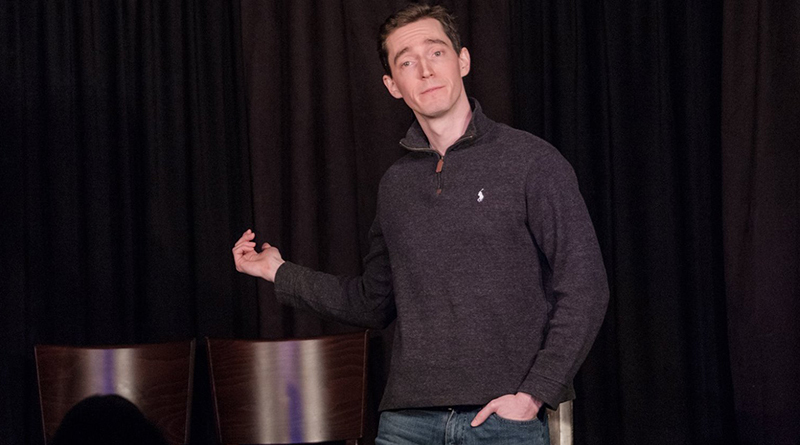 McIntyre is heading into the finals of the Sketch to the Death comedy tournament, and for his final eight-minute set the 30-year-old is drawing on the cache of material he has written down from moments when he observed people from afar. He naturally rolls into the story of a young woman he happened to hear in the Yonge-Eglinton Centre. McIntyre doesn’t hesitate to deconstruct his methodology as he also works in the financial industry as a reporting analyst. He jokes he’s the guy people come to when they’re having troubles with a tough formula in an Excel spreadsheet. “Part of the fun with comedy is seeing how other people see the world and taking it to an extreme and lampooning it,” he says. “The delivery, the laugh lines and jokes, and most of it is having the loud voice, the confidence to sell it and the rhythm of the joke. He’ll explain the structure of the platform and the tilt is in a sense the punch line for sketch comedy. The analytics are part of McIntyre’s interest in the craft. He got involved with Sketch to the Death after he had worked with its founder Craig Scorgie, who found a gap in the improv and sketch comedy scene in the city. Sketch Com-Ageddon had run its course two years before, and in came Sketch to the Death. The new series, which started with 30 competitors began Jan. 6 and the second round was Jan. 13. The finals, of which McIntyre is one of eight remaining troupes, will take place Jan. 27. He has made it this far by entertaining the audience members who vote for their top pick. If all goes well, and he breaks the proverbial leg or ruptures a spleen, he’ll be planning for the Toronto Sketch Fest, where he has two half-hour sets scheduled for March 7 and 15. Then there his summer venture for a one-hour comedy sketch show where he will dip into that cache of human traits that often go ignored and requires a much-needed lampooning.